The talk show host wants fans to know the truth. 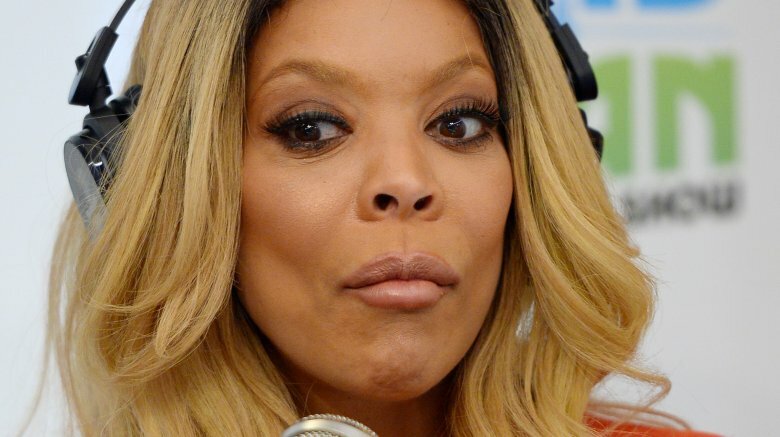 After DailyMailTV reported that her husband of nearly 20 years, Kevin Hunter, was leading a "secret double life," Wendy Williams commented on the rumors that he'd had a decade-long affair with his massage therapist, denying that anything shady had been going on. In a statement obtained by E! News, Williams' rep, Ronn Torossian, said, "One plus one does not equal three. This woman is a friend but there is no 'there' there." Williams, 53, also addressed the claims on her talk show, Wendy: The Wendy Williams Show, on Tuesday, Sept. 26, 2017. "It's weird doing Hot Topics and being a hot topic," she said. "It's some sort of weird story going around the Internet regarding my husband." "You can believe what you want, but…" Williams continued, holding up her left hand and showing off her wedding ring. "I stand by my guy," she stated, adding, "We commuted this morning." "All is well in Hunterville," Williams went on. "Don't believe the hype and if there was hype, believe me you—I would let you know." While we're not sure what's going on in Williams' marriage, we do know that scandalous affairs are nothing new to Hollywood. Read up on all of the celebrities who had affairs that ruined their careers.